"Elvis 75 Good Rockin’ Tonight"
EIN’s Nigel Patterson recently put on the headphones to sample what the 100 track release has to offer. Let me say right up front - Elvis 75 Good Rockin' Tonight is a fitting tribute to the King of Rock 'n' Roll to mark what would have been his 75th birthday! However, for many fans and the casual CD buyer I am sure a questioning doubt will exist. 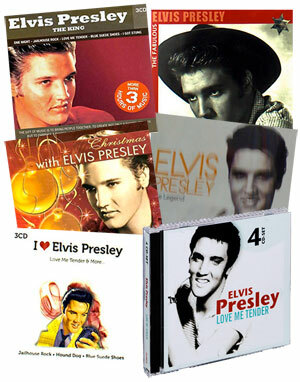 Why should we, they, anyone buy Elvis 75?? From the seminal Sun Records sessions and salad days at RCA to the post-washed-up artistic rebounds and the unadulterated thrill of the TCB band, Elvis 75 serves up Presley both trim and bloated, high and low, a man who was always successful even when he was desperately grasping for something new. Put all that enduring idolatry and marketing aside and it's not even an argument as to whether the dude made four discs of killer music in his lifetime. Get this and you'll never need to hem and haw over another Elvis comp again. Now, for a detailed examination of why Zeth Lundy is right!! Considering Elvis 75 in its entirety you are struck at the wide variance in musical genre it contains. 1950s Memphis rockabilly (Good Rockin' Tonight) mixes with glorious New Orleans style rock 'n' roll (King Creole) and the more pop orienated New York style rock ‘n’ roll (A Big Hunk of Love); while Elvis in one moment delivers the pop sensibility of Stuck On You and in the next, hits his straps by wringing out the awful loneliness associated with the most painful of experiences with the anguish ridden bluesy soul of Stranger In My Own Home Town. He keeps us guessing through a mix of pleasant film tunes including the reflective cocktail lounge smoothness of I Need Someone To Lean On and a series of crowd pleasing powerhouse ballads such as the bombastic American Trilogy and the emotionally wringing Hurt. Given this almost bewildering array of musical styles just who was Elvis the singer? Listening to Elvis 75 it is obvious he was a singer of eclectic tastes and stirring ability; a musical interpreter par excellence. For long time fans it is no surprise as to how easily Elvis could circumnavigate an emotional range most other singers only dream about. As an artist Elvis traverses the searing heights and soulful depths music has to offer. Near the end his voice may have been erratic, but as Unchained Melody shows, he was always capable of producing something special. The passion never left him, it just became harder to extract as his mind and body sadly deteriorated. 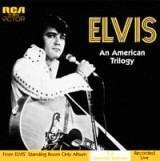 Disc 1 (the rise to fame) and the first few tracks on Disc 2 cover 38 of Elvis’ seminal 50s recordings; the remainder of Disc 2 and Disc 3 offer 43 of the King’s best from the swinging 60s (Elvis' so-so Hollywood years bookended by his famous comeback) and Disc 4 showcases 18 of Elvis’ better recordings from the 1970s plus the global phenomenon, Elvis vs JXL, DJ Tom Holkenbeg’s fantastic 2002 remix of A Little Less Conversation. The opening track on Disc 1 is Elvis’ first ever recording, My Happiness, Recorded in 1953 for his mother Gladys, on Elvis 75 it is an aural delight, free of any recording imperfections. 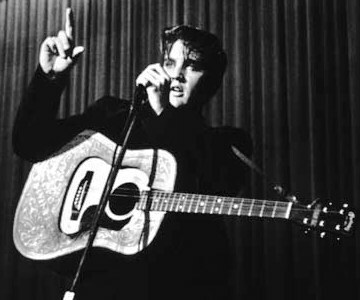 Elvis’ voice is crystal clear, and while still developing into the tour de force it would become, is way up front, sounding vibrant and sincere. A great mix and a clear sign of what was to come! It has long been recorded that Elvis the artist was able to make even the most ordinary of songs worth listening to. Therein was an important part of his genius and attraction. 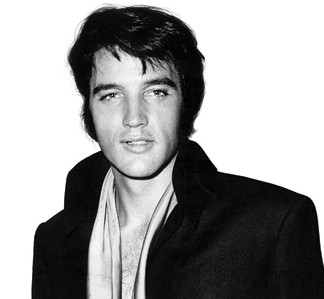 Undoubtedly a number of recordings on Elvis 75 are not, by themselves, musically strong. In the hands of a lesser singer, tracks like Bossa Nova Baby and Adam and Evil would come off as forgettable dross. Elvis though infuses them with a quality that makes them more than momentarily interesting. For those unfamiliar with Elvis’ catalog of hits (are there actually any such people? ), Elvis 75 will serve as a rewarding window to Elvis' multi-layered artistic canvas of rousing rock, sublime gospel, soothing ballads, mournful blues, refreshing pop and bountiful soul. A heady, palpable mix! The track listing is a broad one and while it does not stray far from what we have come to expect from Sony compiles, the inclusion of recordings such as It Hurts Me, Judy, Guitar Man, Big Boss Man, I Washed My Hands In Muddy Water, I’m Leavin’ and T.R.O.U.B.L.E., is more than welcome. Other “lost” gems include the King’s masterful control and exposition on Bob Dylan’s Tomorrow Is A Long Time; the “jam feel” oozing from the delightful Too Much Monkey Business and the pure, unadulterated pop pleasure of Thrill of Your Love. A pounding bass "live" version of Polk Salad Annie reminds of just how majestic and powerful Elvis was in concert while the sublime Promised Land surely must have been to show Chuck Berry and the world, that at age 40, the King could still still rock it! And all the major hits the world knows are included. 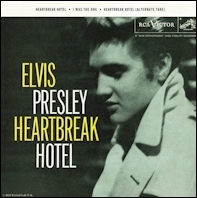 From Heartbreak Hotel to It’s Now Or Never, Can’t Help Falling In Love and Suspicious Minds...........indeed, there is ‘something for everybody’. Interestingly, I found that a number of the 1960s recordings don’t seem as aurally clear as the 50s tracks. Why this is may be for various reasons - my state of mind at the time or the original tapes used for remastering and/or the more 'musically dense' 60s songs where greater use of instrumentation and track overlays forms part of a more complex musical package. With the 50s material there is no room to hide and in considering Elvis' recordings from that period there is no issue to be answered. For example, there is something very pure and magical about the uncluttered, powerful and resonant sound of Elvis’ vocal complemented by only Scotty’s lead guitar and Bill’s double bass on the iconic Sun recordings. 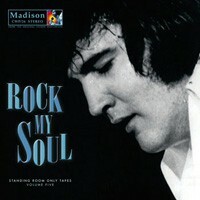 The clarity of sound on these tracks is resonantly impressive and mirrors that found on the sublime Elvis at Sun album. Is the sound on Elvis 75 superior to earlier releases of its track listing? Listening to early incarnations of Elvis’ 1950s recordings, particularly his Sun and pre-Sun tracks was often affected by the more primitive remastering technology available decades ago. The sound on Elvis 75 is certainly superior to the still musically formidable 1950s, 1960s and 1970s Elvis Masters box sets. But more on this issue later. There was a tendency earlier on in the early days of CDs where people put whatever master was there that included a certain track instead of going back and finding the originals. There was a sloppiness during a decade or two where business didn’t prioritize catalog releases. They didn’t go that extra mile to find the generation before." 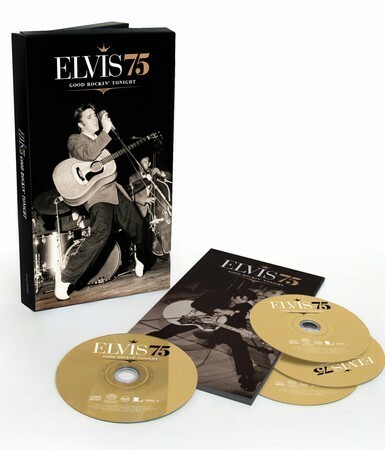 With Elvis 75 this issue becomes an historic artefact as the state of the art remastering technology* available today appreciably enhances both the vocal and instrumentation, providing a rich listening pleasure. Put on the headphones, turn off the lights and let Elvis transport you to places you probably haven’t been to for a very long time! While I have not had the time to do a full A/B comparison of the 100 tracks on Elvis 75 with their earlier incarnations, a comparison of a cross-section of the recordings puts me in no doubt that the sound on the Elvis 75 set is not only usually crystal clear but also powerful with great tonality and, importantly, a very strong balance between each track's vocal and its backing. Vic Anesini is to be congratulated on a wonderful remastering effort which brightens the Elvis musical mosaic and breathes new life into a number of tired tracks while at the same time re-invigorating others! Anesini's work allows the jazz piano feel on Heartbreak Hotel to shine; the angst of Good Time Charlie's Got The Blues to seep through your senses and brings a fresh vibrancy to sensational 50s tracks such as Paralyzed and Wear My Ring Around Your Neck. The tracks appear in strict chronological order of recording dates over the course of Disc 1 (1953-1957), Disc 2 (1958-1962), Disc 3 (1963-1969), and Disc 4 (1970-1977) and in the context of the rationale for the box set you can understand the historic logic for this approach. As the set is, if approached in the right way you can a sense of how both Elvis and his music evolved over nearly 25 years of recording. However, the casual listener may find the chronological approach awkward as the musical styles jump quite a bit. To them, greater balance of listening enjoyment may have been achieved if songs had been grouped together by genre within their decade. We also need to remember that the release is targeted at the general buyer, not collectors (although pragmatically it is unlikely too many of the younger, You Tube watching, downloading music listeners will invest their money and time in buying the set). As is usual with Sony's 4CD Elvis box sets, the accompanying 80 page booklet does not disappoint. Great visuals are complemented by an excellent essay by noted critic, Billy Altman. Altman is an award-winning cultural journalist and critic whose work has appeared in such places as The New York Times, The New Yorker, Rolling Stone, Esquire, GQ, Harper's Bazaar, Sport, Inside Sports, TV Guide, People, Entertainment Weekly, msn.com and foxsports.com. "While the prospects of a musical career seemed at best remote - the day after graduation, he began working at a machinist shop for the princely sum of thirty-three dollars a week - Elvis kept dreaming." In around 30 pages of tightly constructed narrative, Altman provides a cogent examination of the Elvis story from its humble beginnings in that shotgun shack in Tupelo to its incredible highs and ultimate fate. Altman writes with strength and compassion. His ability to identify essential elements and themes is impressive - from Elvis the'dreamer' to Elvis the central and pivotal 'figurehead' of rock 'n' roll - and they evoke fundamental and resonant imagery which operates to solidify his music and mark his greatness and importance! "Presley needed to keep the (as the title of his Greatest Hits package proclaimed) 50,000,000 Elvis Fans who couldn't be wrong on his side by shifting his music more towards adult tastes." By 1976, Elvis was, by all accounts, retreating further and further from day-to-day reality, spiralling ever-downward in a prescription drug-filled fog of loneliness and despair. Throughout his expressive prose, Altman maintains just the right balance to highlight the musical genius within the context of Elvis's rise and fall. If there is any criticism, it is that Elvis' Hollywood years (despite being reflected on the four albums) are noticeably missing from mention (undoubtedly by deliberate intent) before Altman resumes his story with Elvis' famous '68 Comeback. It is obvious Altman wants to focus his vision on the critically acknowledged seminal artistry of the King. The many visuals in the booklet are a mix of sepia tone and full color and also present the Elvis story in approximate chronological order. Each of the 100 tracks is detailed with composer(s), date recorded and list of musicians present during the session. 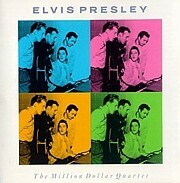 The discussion is interspersed with the cover artwork from many of Elvis' hit singles. There is also a detailed Photo Legend. The four discs and book(let) are housed in a sturdy and durable fold-out box. The cover artwork of an iconic Elvis image is striking. The use of gold color to mark the "75" and "crown" above "Elvis 75" is strategically symbolic. Disc 1 will be widely regarded as artistically the strongest and this argument has considerable merit. It can be difficult to compare recordings from different eras in an artist's career as expecting the same level of obvious musical accomplishment over a three decade span is unrealistic. The artist evolves, music evolves and consumer taste evolves. It is all the more difficult with Elvis, given not only his propensity to move between different musical genres in the one recording session but also his barren Hollywood period during the 60s and his physical and emotional decline throughout the 70s. What afflicted Elvis most after the 50s was not so much a lack of desire for musical creativity on his part, but a dire mix of flimsy, contractually driven Hollywood songs and a sad physical and emotional decline, resulting in an inconsistent recording output - an output which nevertheless included sublime recordings! This is a testament to Elvis' musical genius and ignites thoughts of just what might have been had he been able to remain healthy. Could Elvis 75 Good Rockin’ Tonight have been improved? The audio sound is very impressive and the 80 page booklet noticeably classy with excellent visuals and its strong essay by rock 'n' roll savant Billy Altman. (The foreword was written by Sony’s two top Elvis men, Roger Semon and set producer, Ernst Jorgensen). However, Elvis 75 does beg the question of how much further Sony can go with audio on its Elvis catalog? As the Sony Japan SHM-CD (high fidelity) format Elvis releases have proven, DSD remastering (encoding) presented on SHM-CD format CDs definitely adds another dimension to one's listening pleasure. 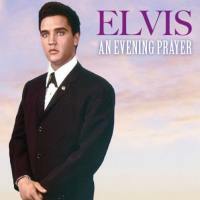 Hopefully, this will form a much bigger part in the future release of Elvis albums. 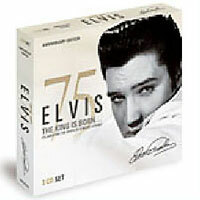 In its current format it is the track selection on Elvis 75 which will generate the essential debate. Pragmatically, if one was to run a poll it is likely you would end up with a myriad of different track listings, such is the subjective nature of these things. The end game here is that Sony could never have pleased everyone. Verdict: Elvis 75 Good Rockin’ Tonight is an impressive 4CD box set with booklet to commemorate what would have been Elvis’ 75th birthday. Aurally stunning, emotionally satisfying and narratively illuminating, it is superb! The set contains an embarrassment of musical riches - a blistering amalgalm of potent rock 'n' roll, deeply expressed gospel, delightful pop; poignant ballads and scorching blues. Pump up the volume, tweak your graphic equaliser and enjoy the King in high quality, sound. Just remember to savor the moment! Highly recommended. The 13 Key Tracks from "Elvis 75 Good Rockin' Tonight"
Here are the 13 tracks from the boxed set that best illustrate Presley's artistic progression. "That's All Right" - (Recorded in 1954 in Memphis) This is the moment when Presley, working with Sun Records producer Sam Phillips, defined rock 'n' roll: both its sound and youthful attitude. Checking in at just under two minutes, it is as revolutionary a slice of music as Bob Dylan's "The Times They Are A-Changin'." "Baby, Let's Play House" - (1955, Memphis) Presley ups the ante here, revising the words of a minor R&B hit by Arthur Gunter and increasing greatly the passion to better express the sexual pulse and youthful insistence that would be crucial, early building blocks for rock. "Hound Dog" and "Don't Be Cruel" - (1956, New York). These tracks were released as the A and B sides of a single and both went to No. 1. In "Hound Dog," Presley showed how the energy and grit of rock 'n' roll could connect with a mass audience. On the flip side, he demonstrated how he could be playful and charming without losing his edge. "One Night" - (1957, Hollywood) Presley reached back to his Memphis roots for the sexual tension and energy in this reworking of a Smiley Lewis R&B hit. He changed Lewis' lyrics from "one night of sin / is what I'm now paying for" to "one night with you / is what I'm now praying for," but the vocal remained as steamy and urgent as country and blues could get. "Blue Christmas" - (1957, Hollywood) Ernest Tubb had a country hit with this song in 1948, but Presley's interpretation brought a whole new dimension to it as he used the sentimental currents of the Christmas tale to amplify the heartache in the lyrics. Key line, "You'll be doing all right with your Christmas of white / But I'll have a blue Christmas." "How Great Thou Art"- (1966, Nashville) Gospel was Presley's first love and this might be his most captivating vocal ever -- a declaration of faith that is chilling. "If I Can Dream" - (1968, Hollywood) A rare step into social commentary that was a sign of daring and maturity. "Suspicious Minds" - (1969, Memphis) Presley seems to be trying to exorcise the memory of all those heartless movie tunes in a single, explosive moment. 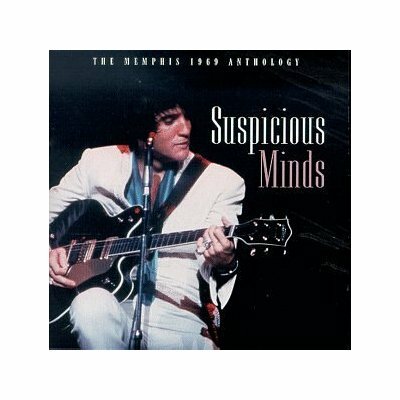 "Stranger in My Own Home Town" - (1969, Memphis) Recorded just a month after "Suspicious Minds," this track finds Presley still celebrating his musical rebirth as he turns this bluesy Percy Mayfield tune into a personal statement about his struggle to regain his musical and personal identity. (1972, Las Vegas) In tackling Mickey Newbury's inspired linking of three 19th century tunes, including "The Battle Hymn of the Republic" and "Dixie," Presley again steps into new territory as he celebrates the healing of a once-divided land. "Burning Love" - (1972, Hollywood) Almost 20 years after "That's All Right," Presley proved he could still convey the initial energy and innocence of rock as well as anyone who followed him. "Always on My Mind" - (1972, Hollywood) The song was written by Wayne Carson, Johnny Christopher and Mark James, but Presley gives it such a heartfelt vocal, turning it into a personal message to his ex-wife, Priscilla. EIN Note: The 4CD box set is only being released in some countries (USA and Australia) with other Sony offices releasing 1 and 2CD album editions.